When it comes to action sports, there are always complexities that most people never think about. Football players have to memorize playbooks and then make split-second decisions as the opposing team changes their tactics. Hockey players have to have the grace of figure skaters and smashing into other players while wearing 15 pounds of equipment. So you probably won’t be surprised that the average professional paintball player has to handle a lot more than you might initially give them credit for. 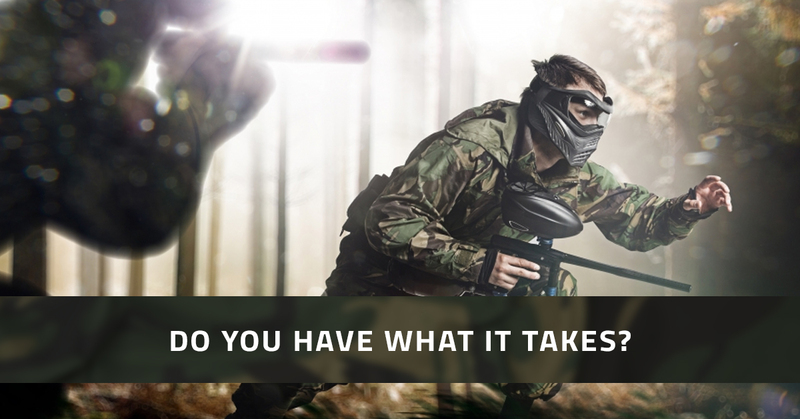 Let’s take a look at what it takes to be a professional paintball player in Houston. You don’t become a professional athlete in any game without having an interest in it. That means devoting hours every week to it, sometimes getting up early and other times working late into the night. You’ve got to love it in order to make it work in your life. Nobody wins a paintball game by themselves. Paintball is a team sport, and it’s important to work with the team in order to accomplish the goal, whether it’s capture the flag or elimination. Every person must play their part in order to give their team the best chance of winning. A person who doesn’t match the team well won’t last on that team for long, no matter how good they are with their marker. Speed is incredibly important in paintball. Running from obstacle to obstacle without getting hit by suppressive fire is one of the keys of the game, because once you’re out, you’re out…and that means you’re not helping your team out at all. Of course, flexibility is another forgotten aspect of paintball. You have to be able to take a knee, lay down some fire, and then pop back up without complaint. A few seconds later you might be prone on the ground, only to have to pop back up when someone yells that the flag has been taken and needs to be secured. Sure, it’s important to get down and hide behind obstacles But it also helps to be able to jump over obstacles and land on your feet. And then keep running. There are those times when your ability to react quickly to a situation is all that saves you. For instance, if you jump out from behind an obstacle and find that someone has you in their sights, being able to drop (there’s that flexibility again) is the only thing that keeps you in the game. …and get back in the next game! While you’re out when you get marked, you can’t let getting hit rattle you. Sure, you might have a bruise from the paintball, but you’ve got to do your best during the next game. We saved this one until last, because the offensive nature of paintball certainly can’t be ignored. The rest of these abilities keep you from getting hit, but this is the one that helps you eliminate the competition so that they can’t shoot back. It’s important to be able to shoot accurately, always taking distance and wind into account. Paintball takes a lot of practice and quite a bit of physical prowess. Check out our roster to see who has what it takes to be a pro paintballer in Houston!